Our Spring Newsletter is here! 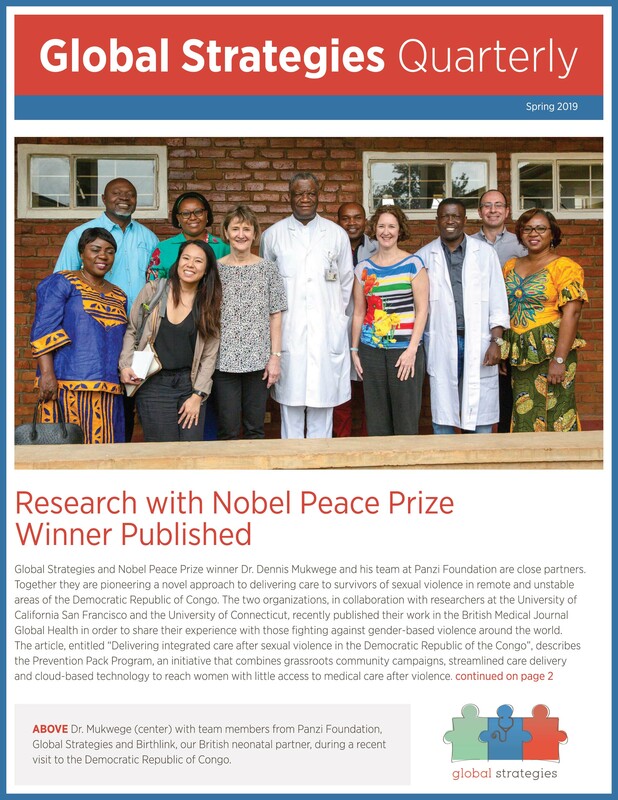 Learn more about our recent publication in the British Medical Journal Global Health, our trip to Geneva where we met with health and humanitarian leaders from around the world, and Dr. Mary Muhindo’s work using NoviGuide as a part of her preterm birth research. The pediatric care that we give our children here has enabled us to see the children we healed grow up into adults thanks to Global Strategies.